Among the most ecologically and commercially important trees in America are the Douglas-fir and the many pines native to the country. The former is an often-enormous conifer belonging to its own genus; its signal traits have, in the past, caused taxonomists to class it with the pines, and an old lumber name for it was “Oregon pine.” Douglas-fir has wood of moderate strength -- superior to some pines, inferior to others and comparable to still more. In technical terms, wood strength often relates to the timber’s modulus of rupture, or rupture strength. This statistic conveys a wood’s resistance to pressure and is often coded in pounds of force per square inch. Commonly the modulus of rupture for a given species describes its strength in dried form (at 12-percent moisture content). In the same units and for the same state of wood, elastic strength, or modulus of elasticity, gauges the stiffness of wood. As the Wood Database notes, while the modulus of elasticity can certainly relate to a wood’s absolute strength, it is not a firm indicator: Strong timber can display substantial elasticity. Douglas-fir is among the world’s chief timber trees, valued for its prolific growth and solid performance as lumber. In the wild, it grows across a broad range in western North America as two distinct varieties: coast Douglas-fir and interior Douglas-fir. The former, which roughly ranges west of the crest of the Cascade Range and Sierra Nevada to the Pacific shore, is one of the largest of all trees. Big specimens may grow to at least 330 feet tall and span over 15 feet across in the trunk. The wood of both races is of moderate strength: the Wood Database gives its MOR as 12,500 pounds of force per square inch. The USDA Forest Service’s Center for Wood Anatomy Research notes strength can vary widely in Douglas-firs depending on their growing conditions. Pines are the most diverse genus in the broader pine family, which includes Douglas-fir as well as many other familiar conifers. Around 40 species alone are native to North America. With this variety, it’s little surprise that pine lumber ranges significantly in strength. Among the strongest is the slash pine of the southeastern coastal plain, which, according to the Center for Wood Anatomy Research, has an MOR of 16,300 pounds of force per square inch -- comparable to or exceeding that of many hardwoods. Other pines have weaker wood than Douglas-fir. 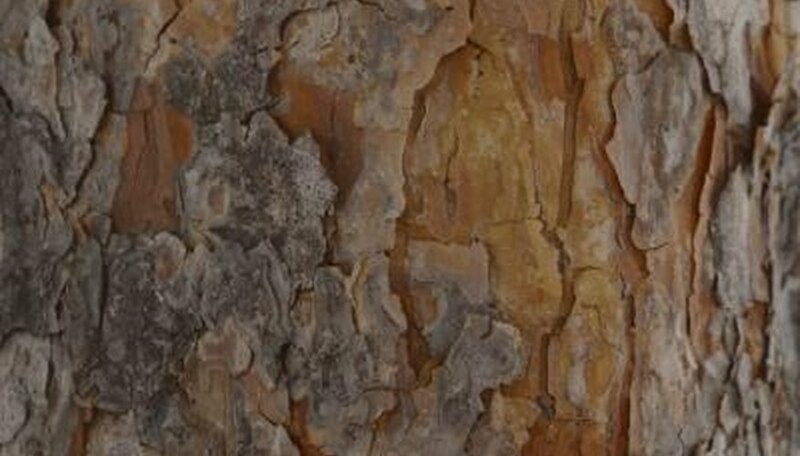 The eastern white pine has an MOR of about 8,500 pounds of force per square inch. Douglas-fir is a hugely important lumber tree, grown widely in plantations well outside its native range. Several kinds of pines native to the Southeast -- loblolly, slash, shortleaf and longleaf -- are classified in the lumber industry as “southern yellow pine” and are widely used in construction. In the wild, both Douglas-firs and pines are “strong” in other ways. Coast Douglas-firs endure ferocious gales during the winter storms chronic to its rugged, wet territory, as do high-country pines like bristlecone, whitebark and limber pines, sculpted by wind, ice and snow into tough, gnarled “krummholz” (crooked-wood) forms.